There’s no shortage of Turkish restaurants on Islington’s Upper Street. It’s just too bad that most of them serve as mere pit stops for the crowds who come to my ‘hood on weekends to get pissed. Imagine my excitement when I saw this glowing November 2010 review in TimeOut for Antepliler. It’s always a good thing when a mid-range, delicious restaurant opens in your neighborhood, yes? Happily, the service and decor at Antepliler lived up to expectations. And the food was generally good, though based on my one meal there, I wouldn’t say Antepliler is a destination restaurant. It’s more of a “great choice if you’re already in Islington” kind of place. Jon and I loved the breads, which arrived soon after we sat down. Steaming hot and flavorsome, especially with the accompanying free chutneys and the cacik (£4.50), which was not free but when is strained cucumber with garlic and mint not a good plan? Patlican Soslu, a fried aubergine with tomato tapenade, was too sugary. Too bad as I love fried aubergine and was looking forward to this cold starter. Borek were delicious. 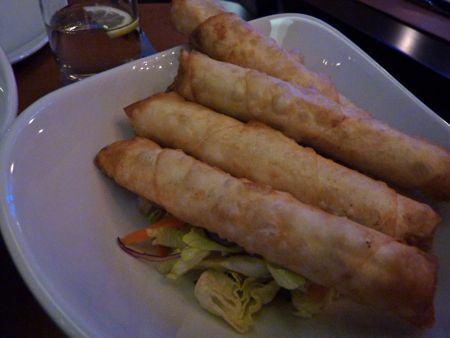 Zippy feta cheese and crisp, greaseless filo pastry, all fried. I’m afraid this dish isn’t going to keep away the crowds planning to get pissed on Upper Street, but its greatness as a bar snack cannot be ignored. 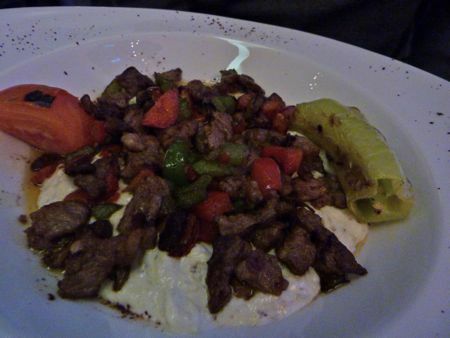 Listed under the category “Signiture Gaziantep Food” on the menu, the diced lamb in Jon’s Ali Nazik was a bit dry. We’d thought the lamb would be cooked as a large piece first and then diced, but it seems the lamb was diced and then cooked. Hence the dryness. The smoky eggplant puree helped give moisture to the dish, of course, but still, this is one of the restaurant’s signature dishes? My Simit Kebab, kofte to you and me, was exactly what I like in a kofte. The cracked wheat and abundant herbs in the minced lamb added a crunchy, earthy texture and flavor to the minced lamb. The accompanying rice and salad were fine, but it was the generous portion of juicy kofte that was the star attraction. With a beer each, our tab for two totaled £50. Service was fast and friendly, and the interior was cheery and buzzing. A very welcome addition to the neighborhood. To read about other restaurants in Islington, click here. I’ve heard good things about the original Antepliler on Green Lanes, especially the Turkish ‘pizza’ (Lahmacun?). 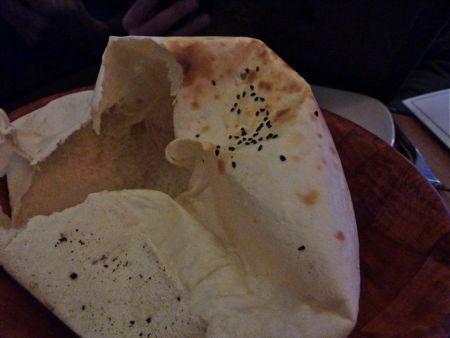 Did you spot this dish at the Islington branch? I’m more likely to visit Islington than Green Lanes so it’d be good to know! @Mr. Noodles – There were definitely several lahmacun options available at Antepliler. I thought about ordering one as a hot starter, but the portions looked large, so I figured I’d try it out another time. And yes, part of Antepliler’s attraction is that its original outpost on Green Lanes sounds like a “real deal” sort of place. 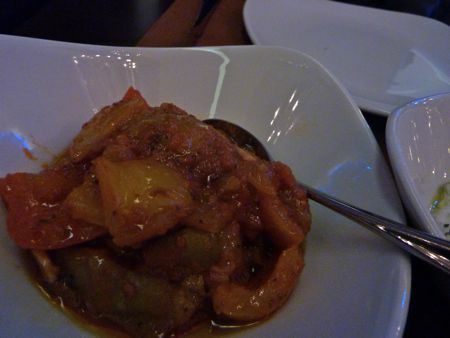 You are right about the other Turkish restaurants in Islington – am sick of friends recommending Gallipoli to me! 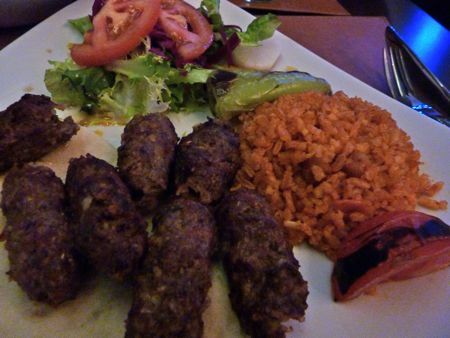 Good to hear there is a more decent offering in the form of Antepliler – the kofte looks good. The problem I always have in Turkish restaurants is that I always fill up with lovely breads and starters and then am too full for the main meaty event. I usually manage to plough through though. 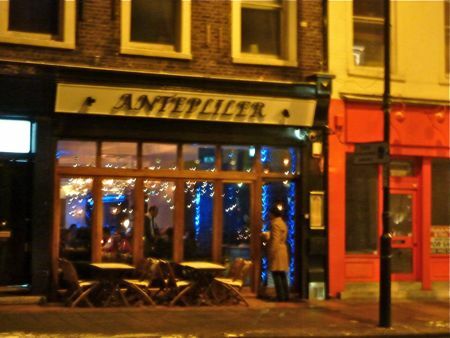 I’ve heard so many good things about Antepliler in Green Lanes; shame this branch doesn’t seem to live up to it. Oh interesting! I am a big fan of the one on Green Lanes, are they related I wonder? Mr Noodles – the Lahmucun is worth the trip and only £1.30 takeaway (I posted about it a couple of years ago 🙂 http://eatlikeagirl.com/2009/12/09/its-time-for-an-ode-to-lahmucun/).